A paper published today in the science journal Nature reveals that the melting of Antarctica’s ice sheet is being driven by a warming ocean more than a warming atmosphere. Which means even though summer air temperatures have not yet warmed enough to substantially melt Antarctica’s surface snows, the oceans are undermining the frozen continent from below—fueling a recent, widespread, and intensifying glacier acceleration and its accompanying rise in sea levels. 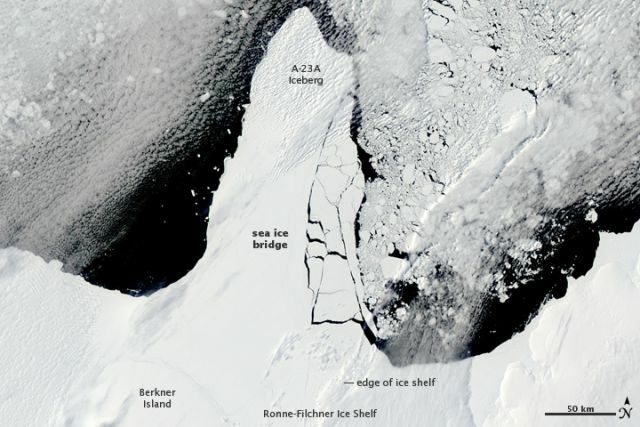 Of 54 ice shelves mapped, 20 are being melted by warm ocean currents, most of those in West Antarctica. In all cases the inland glaciers that flow down to the coast and feed into these thinning ice shelves have accelerated, draining more ice into the sea and contributing to sea-level rise. 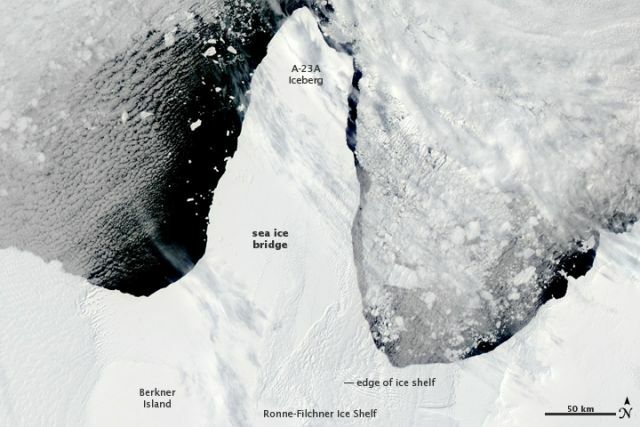 The melting is happening fastest where deep troughs cut through the underwater continental shelf, allowing warmer water access to the undersides of the ice shelves. “What’s really interesting is just how sensitive these glaciers seem to be. Some ice shelves are thinning by a few meters a year and in response the glaciers drain billions of tons of ice into the sea. This supports the idea that ice shelves are important in slowing down the glaciers that feed them, controlling the loss of ice from the Antarctic ice sheet… We think [the cause is] linked to changes in wind patterns. Studies have shown that Antarctic winds have changed because of changes in climate and that this has affected the strength and direction of ocean currents. As a result warm water is funnelled beneath the floating ice. 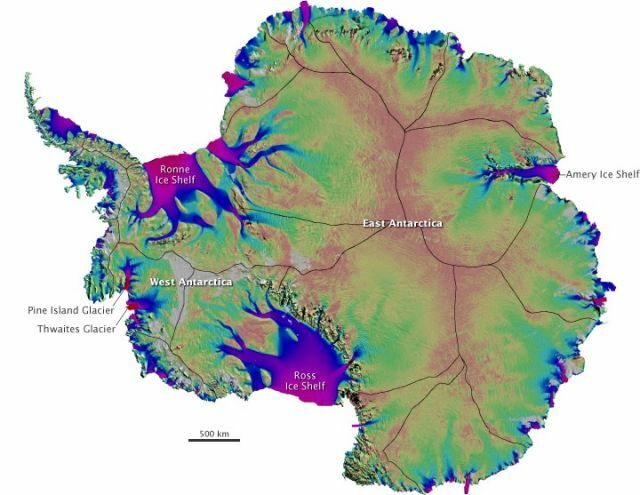 These studies and our new results therefore suggest that Antarctica’s glaciers are responding rapidly to a changing climate. You can see that happening in this NASA video which shows warm ocean currents attacking the underside of ice shelves. Ice shelves colored red are thicker (greater than 1,800 feet / 550 meters). Those colored blue are thinner (less than 650 feet / 200 meters). The ice2sea project team behind the new paper will be releasing its projections on sea level rise into the 21st and 22nd centuries later this year.